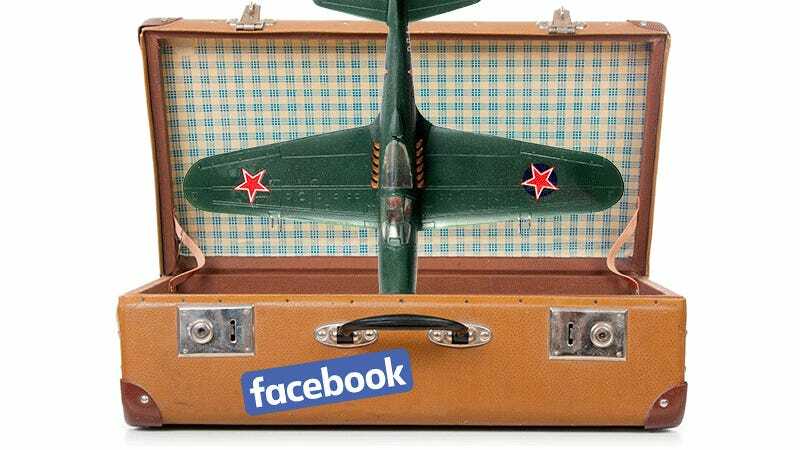 How Big Is Mark Zuckerberg's Carry-On Bag? Mark Zuckerberg likes to give. He gave us Facebook. He gave us the hoodie as a work uniform. He gave us his mop dog. He also likes to give gifts and trinkets, like a model of Aquila, the fancy aircraft that will allegedly bring the internet to the world. He dropped lil’ Aquila off for Pope Francis today during a visit to the Vatican, which surely delighted His Holiness. But lest you think Zuck reserves his gift-giving for religious leaders, the Facebook master has actually made a habit of presenting things to the people he meets both at home and abroad. Good thing he can afford those hefty baggage fees. Zuckerberg’s trip to the Vatican was part of a larger visit to Italy, during which he also met with Italian Prime Minister Matteo Renzi. He brought him a “real server from Facebook’s data center that is symbolic of the servers for artificial intelligence that we’re giving to help research throughout Europe.” That’s sure to match the wallpaper! He also attended the wedding of Spotify founder Daniel Ek, but no word yet on what he presented the happy couple with. All presented to Indian Prime Minister Narendra Modi last September. Zuck’s neighbors on the Hawaiian island of Kauaʻi were thrilled. According to those fake Facebook posts your grandma shares, anyway. We don’t know exactly what Zuck brought to his meeting with GOP leaders following our reports on allegations that Facebook’s trending news curators were suppressing conservative coverage, but a stress relieving elephant seems likely.